Omak is a gentle giant. He was abandoned by his owner and taken in by a neighbor. Unfortunately, Omak escaped and roamed the neighborhood and hillside for a few months despite animal control’s efforts to catch him. Eventually, Animal Control did confiscate him and wanted to euthanize him because they feared he was too aggressive. 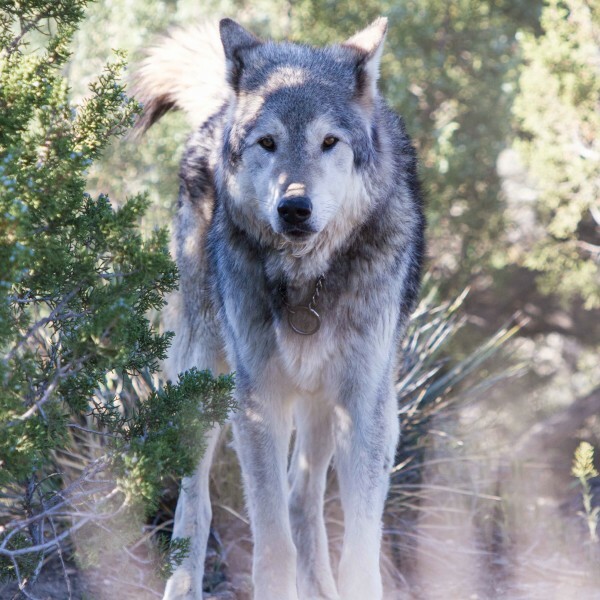 Omak was darted, caught, placed in a metal box and driven five hundred miles to reach Wolf Connection. Needless to say he was not very happy when he arrived…..After a few weeks, he began to trust. There seemed to be an overwhelming sense of loneliness about him….Staff soon realized that Omak was not accustomed to receiving loving touch. Slowly and surely, he is giving and receiving loving nuzzles and becoming an amazing member of the pack.